Apologies, apologies. As often happens here at the Tavern, I got slaughtered by work last week, and was unable to get the round 4 quiniela up. However, unlike past occurrences, this time the quiniela returns! In honesty, it was probably for the best that the quiniela was not posted last week as I likely would have suffered more shame and embarrassment at yet another round of poor predictions. The K League 1 is proving tricky as ever to guess the results correctly. But fear not dear reader! As I shall persist in making predictions weekly. Onwards! As always, the same format continues for making your predictions. 1 = home win; X = draw; 2 = away win. Incheon in the top half you say? As Koreans like to say these days on social media, “실화냐?” (that would loosely translate as “is this real?”). And while it may be only round 5, yes, Incheon are indeed sitting 6th in the table. An odd place for them regardless of the time of season lately. And 6th actually feels about right for them thus far. They haven’t been impressive, but they’ve been steady at both ends of the pitch. Jeonnam sits right behind Incheon in the table in 7th. A leaky defense continues to haunt the dragons and cost them points. The 8 goals they’ve conceded thus far makes them the worst in the league. Another case of “이거 실화냐?” As it is Gyeongnam FC sitting top of the table at the moment. Gyeongnam currently boasts the league’s highest scoring tally of 11 goals and the stingiest defense with only 3 conceded. Marcao has continued to do what he did in the league formerly known as the K League Challenge – score. He tops the golden shoe list with six goals to his credit; the next Brazilian hitman to impress in the league following the likes of Adriano and Johnathan? Daegu on the other hand sit second-bottom as goals have been hard to come by. Daegu has scored just once this season, so it looks like Gyeongnam will enjoy yet another week on top of the pile. The highlight of the weekend is definitely the year’s first Supermatch. Last season saw an opening day Supermatch which saw Seoul’s Lee Sangho get roundly booed and harassed by Suwon’s fans, will Seoul fans give former(?) club legend Dejan Damjanovic similar treatment on Sunday? On paper this one seems to tilt Suwon’s way as they boost the stronger side (again on paper) and are at home. But, the team is coming off a bruising 1-4 loss to Sydney FC in the midweek ACL match, and has struggled to find consistency. Seoul has not gotten going yet, but with the pressure mounting on Hwang Sunhong and the club to get it together, the players will need to show a reaction on the pitch, and what better way than to stick it the archrivals? If it wasn’t for the Supermatch, this would be the match of the weekend. An extremely intriguing one as Choi Soonho has gotten Pohang off to a solid start of their campaign while Jeonbuk has struggled a bit to balance their domestic and international campaigns. A battle of second and third with not a lot to pick between the two. Jeonbuk is probably still the better team overall, but coming off a midweek trip that saw them secure their spot in the next round of the ACL, maybe they’ll be a bit off. It’s hard to decide which is the bigger surprise thus far, Gyeongnam sitting top or Ulsan sitting bottom? It’s probably the former, but Ulsan at the bottom of the table with zero wins and just one goal scored after four played is still pretty shocking. The horangi exploded for six goals against Melbourne Victory midweek, and Ulsan hasn’t struggled for goals in Asia, but when it comes to the league they have. Perhaps Kim Dohun will relax his rotation policy now that Ulsan has virtually secured their spot in the next round of ACL? Anyway, Gangwon meanwhile has continued to chug along and I’ll stick with the slow and steady approach. Another team struggling is Jeju. Despite being labelled as one of Korea’s more exciting and attacking teams, the islanders have managed just one goal thus far. Fortunately for them, the defense has been steady with only three conceded – which makes them joint best with Gyeongnam. The lack of a decent true striker seems to be haunting them as they’re relying heavily on Magno Cruz and the likes of Ryu Seungwoo and Lee Changmin to get them. Jeju crashed out of the ACL midweek (the only K League side officially out), so perhaps they can fully turn their attention to the league from now on. Sangju has also struggled, but the army team has largely been tipped to do so. Ju Minkyu continues to be a solid goalscorer, but may struggle against Jeju’s (unusually) steady defense. 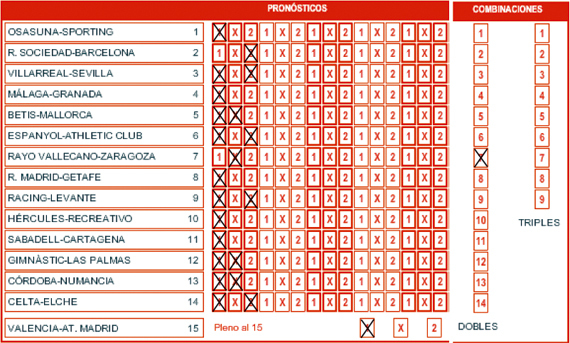 To participate in the quiniela, just copy and paste the table below in the comments with your picks! You can also participate on Twitter by responding to the post there. This is Evelyn, one of your old writers / from Twitter. Could you all remind me what websites you go to, to livestream matches? I remember BWINTV is one, but that’s not working for me right now as I’m trying to watch the South Korea vs. Japan game for the AFC Asian Cup. Thanks! Hi Evelyn, good to hear from you again. Sorry for the late reply, and unfortunately I’m not the best to ask since I live in Korea still. Asking others, Tim recommended (for your phone) the apps “OpenVPN” and “Naver TV”. This would get you access to most national team stuff since Naver streams pretty much everything (except WC qualifiers I think?). For K League, the official website has started to stream (usually) one game a week off their site, and sometimes MyCujoo.TV will also stream some K League stuff. Roy mentioned using some of the Asian gambling website pages on Facebook, but that’s probably a last ditch effort since I would imagine there are some reliability issues.